Today brings us news of yet another anticipated metal album release in early 2013. This news makes me happy because I have been a fan of this German band since their 2008 release, "Omnicide-Creation Unleashed." 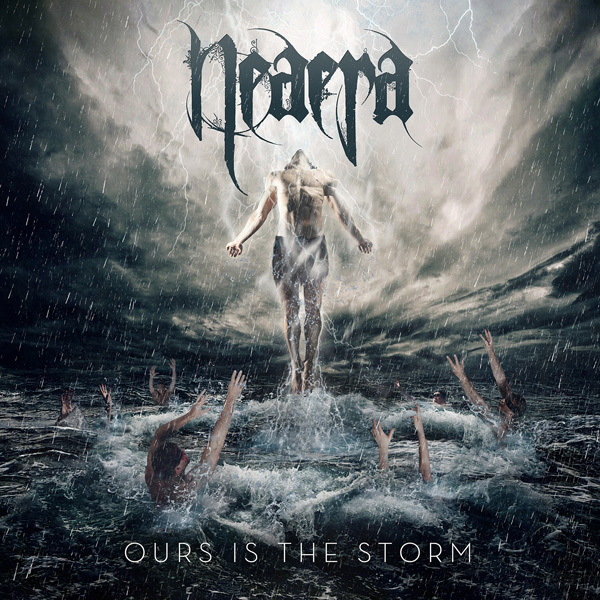 The new disc, scheduled for North American release on March 5, is entitled "Ours is the Storm". Today they have unveiled the title track of the new disc, and as expected, it rips. 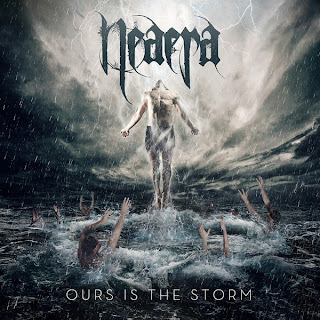 With galloping melodeath riffs over a bleak ream of guitar-based atmospheric wandering, the new track is everything Neaera fans have come to expect. Vocals switch back and forth between skin-tearing howls and blistering grunts as the somber guitar leads drown listeners in an inescapable torrent of fury. From what this track shows, the band's sound will change little with the release of this album, with minor adjustments in the how palbable the bleakness is. This music is for fans of melodeath, reminding of some Dark Tranquillity and Omnium Gatherum tunes. So far, I'm liking what I'm hearing. Check out the new track below. Also to be filed under the 'new' folder, is an unexpected gem I found over at No Clean Singing. The band is from Washington and is called Mourning Wolf. As is often the case with new music I encounter, I found the cover art to draw me in. As far as style goes, Mourning Wolf melds metalcore riffing with blackened atmospheric moments similar to, but not as grand as Alcest. I'm not a huge fan of metalcore or black metal, but I decided to listen anyway. The relief in this release is that the music includes no vocals at all. I'm a fan of bands that tend to blur the lines between genres, and Mourning Wolf pull it off well. Their new EP is available as a name-your-price download from their bandcamp page, which also provides us with the full stream of the EP. This release contains only two tracks, but they average better than 8:30 in length. Check out this new EP. You will not be disappointed.